Women are our target readers. You can find us talking daily about anything fun, interesting and useful. In addition, we have lots of great recipes, crafts and DIY’s we can’t wait to share with you too! Drop us a line and let us know how your day is going too! 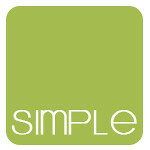 If you’d like for us to feature your company on SIMPLE, please head over to our CONTACT page. We would love to hear from you! Our media kit is available upon request. When entering the giveaways on SIMPLE you are agreeing to these rules. You must be over the age of 18 and live in the Contiguous US to enter – unless otherwise stated in the specified giveaway. The winner will be chosen at random, verified and contacted via email. In order to win, we have to be able to contact you. If we can’t contact you, you can not win. You will have 2 days to respond to our email or to contact us after we post the giveaway winner(s). Prizes will be shipped to you by the advertiser. We will not be held responsible if you do not receive your prize. However, please do let us know if you do not get your prize and we will do what we can to help you out. We will not be held responsible if the product is different, faulty, broken or causes any damage in any way to anything or anyone. When you win a prize, we are not responsible for any tax liabilities/duty fees, etc. that may result from receiving the prize. All reviews are based on personal experiences. The SIMPLE Moms post their honest opinions about the products they test. If you are interested in having SIMPLE host a review and/or giveaway, please contact us. Please be sure to include your web address and if you’d like to work with a specific reviewer. We try our best to accommodate every single company’s need that would like to work with us to spread the word about fabulous products. However, sometimes we have to tweak things a bit to make every situation work. We have additional information on how our projects work – please contact us at info@thesimplemoms.com and we can get you our media kit. This highlights everything, including costs! A product will be provided to the reviewer in order to conduct the review. This product will not be returned. Companies cover all shipping charges. A product will be provided to the reviewer (same as above). A product will also be provided to a winner who will be chosen randomly by theSIMPLEmoms. The company whose product is reviewed will be responsible for mailing out the winner’s item, unless other arrangements have been been agreed upon. Hosting a giveaway only (no review) is considered advertising and offered at a flat fee. Proofread copy (approx. 300 words) and high-quality images must be provided to the theSIMPLEmoms. An app includes anything for iPhone, iPad or any other mobile device. There is a fee to be reviewed and featured on theSIMPLEmoms.